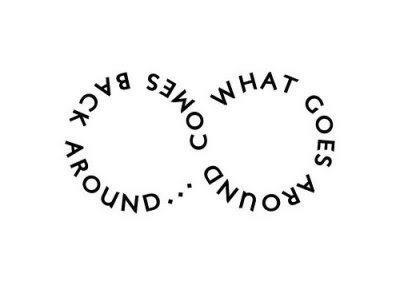 I believe in Karma. I hold faith in the fact that good deeds will be rewarded in kind and bad deeds will not go unpunished. It is extremely uplifting when you are able to watch someone very close to you have those good things happen. It is one thing to give so much of yourself to make others happy, but it is another thing to lose your happiness in the process. It is a gradual slope and the journey down that road is almost unrecognizable. Suddenly, you are in a place where you never expected to be and you wonder how you traveled so far down without even knowing you were on that path. The nice thing about life is there is always a choice. Watching someone make that choice to put themselves first and really feel alive again is a reward in itself. Oh, how I love to see my pals succeed. I can’t say I believe in karma. I see too many bad things happening to good people. But I do believe in choice, including the choice of what to do with the bad things.